How to make a change. As the end of the year rolls around, we begin to think of how we lived during the last year, and what we might change in the coming year. Change is hard. It usually doesn’t happen. Change is possible, but it takes a good plan. The key is asking and answering three key questions. This is simple enough, but you have to be clear. What do you want to change…do…accomplish. The more specific that you are, the more successful you will be. Clear, measurable goals work. Blurry targets rarely get hit. Pitfall to Avoid: Don’t set yourself up for failure by making an unreasonable objective for change. Goals that begin with “I will always”or “I will never” are bound to fail. Set something you can do with a strong effort. Once reached, you can set another goal. Getting discouraged early is a great way to put away your desire for change by mid January. This is critical. If you want to succeed at change, you must have a big enough reason. Spend some time and get real clear about your motivation. Is it something that you want or something someone else wants? Is it about guilt or desire? What lies beneath your motivation? I would challenge you to dig a while in order to discover what is really on your heart. Give it the three year old child treatment. When you answer the question “why”, ask “why” again. Do this until you get to the real reason that this change is important to you. Then, look for ways to keep the motivation in front of you. Remind yourself why you are doing the hard work of change. Pitfall to Avoid: Don’t count on motivation being enough. The tank tends to run dry after a while. How many times have you heard a challenging sermon, read an inspiring story, or felt a deep conviction only to throw in the towel a few weeks down the road? We’ve all done it. There will be days that no matter how important something is to you, that you will not feel like it. Here is something helpful on that reality. The best use of motivation is to help you in the early days of a committment to establish new habits or a process that is going to enable you to meet your goal. That takes us to the third question. Answering this question well is the difference between success and failure. This is what matters. This is where people either blow it or meet with the glory of a win. Establish a process that if you do, it will lead to the desired goal. Then, trust the process. Keep it. Day after day, keep it. Forget about the goal for a while. It doesn’t matter. Just do what you need to do. If you keep at the how, you will get the what. Focus on the daily habits that will get you there. Your new goal isn’t to lose twenty pounds, it’s to eat less than 2,000 calories and run for thirty minutes. Your new goal isn’t to grow in wisdom, it is to read the Bible for twenty minutes and write down one truth that stands out to you and what to do about it. 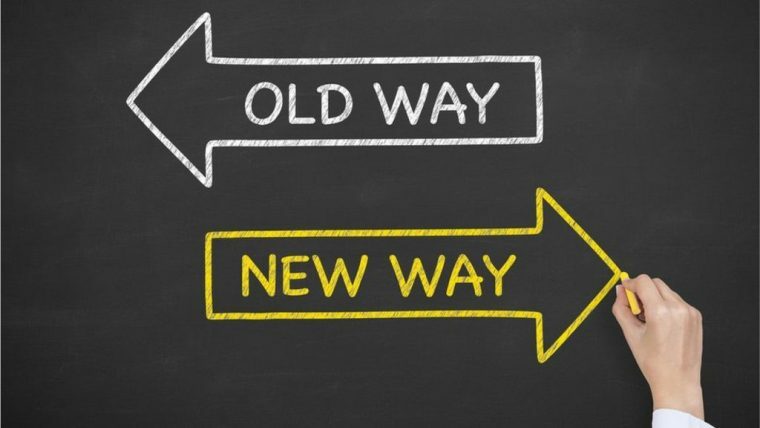 You have to establish a new way of living that will eventually produce the change that you long for. There are lots of pitfalls here. Pitfall to Avoid: Avoid generalities. You must be extremely specific about what you will and will not do on a daily basis. Eating better isn’t enough. Reading the Bible more isn’t enough. Lay out exactly what, where and when you will take your action. Pitfall to Avoid: If you fail one day, don’t fail two days. We all fail along the way to a changed life. It’s human. The key is to not let your misstep become the norm. Remind yourself of what you need to do and why and start again. 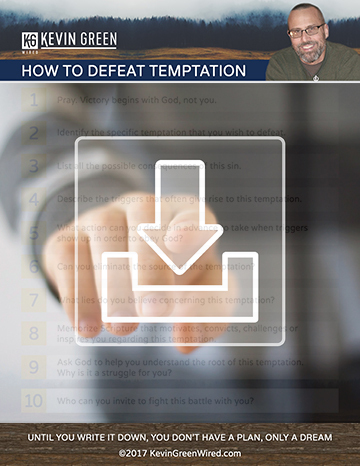 Pitfall to Avoid: Don’t let temptations surprise you. We live in a fallen world. We are broken people. We will be tempted. Change will not happen without opposition. It demands a fight. Ask yourself what temptations are likely to come in light of the change that you want to make. Then, ask the bigger question. What will you do when they come? Have an answer ready so that you are ready to respond quickly when temptation says hello. Pitfall to Avoid: Don’t try. Do. It is so tempting to say “I tried” and be content. You will not change because you try. You will change because you begin to do things differently. Decide what needs to be done and do it. Then…do it again. Pitfall to Avoid: Don’t leave God out. It’s easy to set off on our resolutions and goals and leave God out. You have incredible resources available to you through Jesus Christ. Make this push to change, a chance to trust God. Enlist his help. Seek his word. Pray. Repent. Trust. You might find some important help on this here. Walking with Jesus is about letting him conform us to his image. We have to cooperate in that process. It’s not easy, but if you work these questions, you will grow…you will change.